Home » Archive » Topics » Facility Management » BF LiveXchange: Best new show winner! BF LiveXchange: Best new show winner! 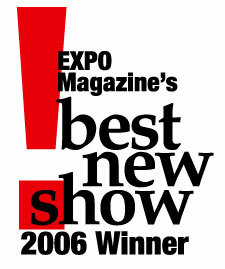 2005 was a good year to launch trade and consumer shows, as exemplified by the just-announced winners of EXPO’s 2006 Best New Show Awards. The Best New Show Award, presented by EXPO Magazine, salutes trade and consumer shows in five categories, including: Trade Show (Stand-Alone Launch), Trade Show (Co-Located Launch), Consumer Show, Trade and Consumer Show, and Nontraditional Event. The program is the only industry honor solely recognizing new show launches. The winner for EXPO’s 2006 Best New Nontraditional Event is Business Facilities LiveXchange, organized by Group C Communications (owners of FacilityBlog, Today’s Facility Manager, Business Facilities, The TFM Show, Facility City, and TFM Forum). Held November 6-8, 2005 at the Chateau Elan in Braselton, GA, this small scale but intense event hosted 30 attendees and 16 exhibitors in face to face meetings and high level educational sessions. Staff responsible for launch included Ted Coene, President; Karim Khan, Editor in Chief; Jim Semple, Sales Manager; and Donna Venito, Event Director. Based on the success of LiveXchange, Group C will launch The TFM Forum this October. This event will match facility executives with the product and service providers in a manner that streamlines the purchasing process. Business Facilities LiveXchange will also be held for its second year immediately before TFM Forum. Dates for LiveXchange are October 22-24 followed by TFM Forum on October 24-26. “This year’s winners prove that trade and consumer shows continue to be the best medium to bring together buyers and sellers face to face, across all industries,” says Danica Tormohlen, editor in chief of EXPO. Each show was judged independently and scored by three judges; their scores were then averaged for a final score. Each show was judged individually based on the following criteria: objective/mission; strategies/execution; and results.